Venture out of the city with trips to Whiteman (Whiteman Park & Caversham Wildlife Park), Rockingham (Point Peron, Penguin Island, & more) and Fremantle (Fremantle Prison, Fremantle Markets, & more). Dedicate the 3rd (Thu) to wine at some of the top wineries in the area. Spend the 27th (Sun) exploring nature at John Forrest National Park. 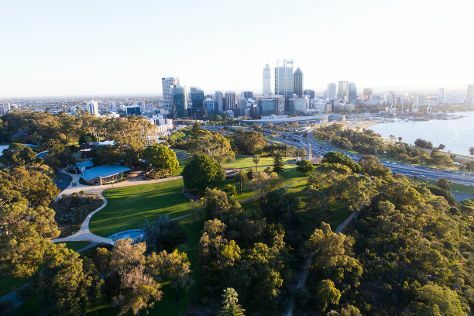 And it doesn't end there: stroll around Kings Park & Botanic Garden, pause for some photo ops at Kings Park War Memorial, kick back and relax at Cottesloe Beach, and admire nature's wide array of creatures at Perth Zoo. To see reviews, ratings, more things to do, and other tourist information, read our Perth online trip planner . If you are flying in from Netherlands, the closest major airport is Perth International Airport. In October in Perth, expect temperatures between 28°C during the day and 12°C at night. Finish up your sightseeing early on the 29th (Tue) so you can travel back home.